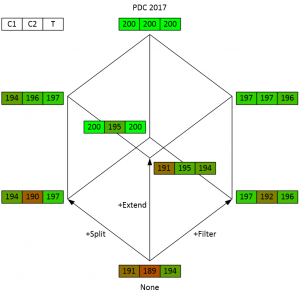 The PDC 2017 Test ProM plug-in has been extended with additional preprocessors. 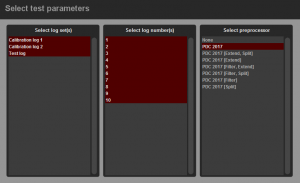 The “PDC 2017” preprocessor filters out the noise from the noisy logs using the appropriate PDC 2017 Log X Filter plug-in, extends some logs with missing traces (see below), and splits duplicate activities using the appropriate PDC 2017 Log X Splitter plug-in. The additional preprocessors use only 1 or 2 of these 3 steps. For example, the “PDC 2017 [Extends, Split]” preprocessor only extends and splits, but does not filter. 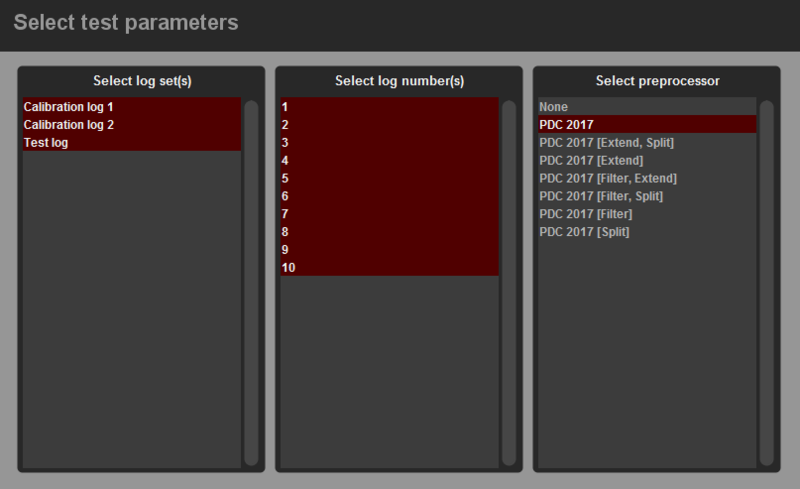 We have tested all preprocessors on all PDC 2017 calibration (C1 and C2) and test (T) logs. The figure below shows the results. Without any preprocessing, that is, when running fully automated, the plug-in classifies 191+189+194=574 out of 600 traces correctly. 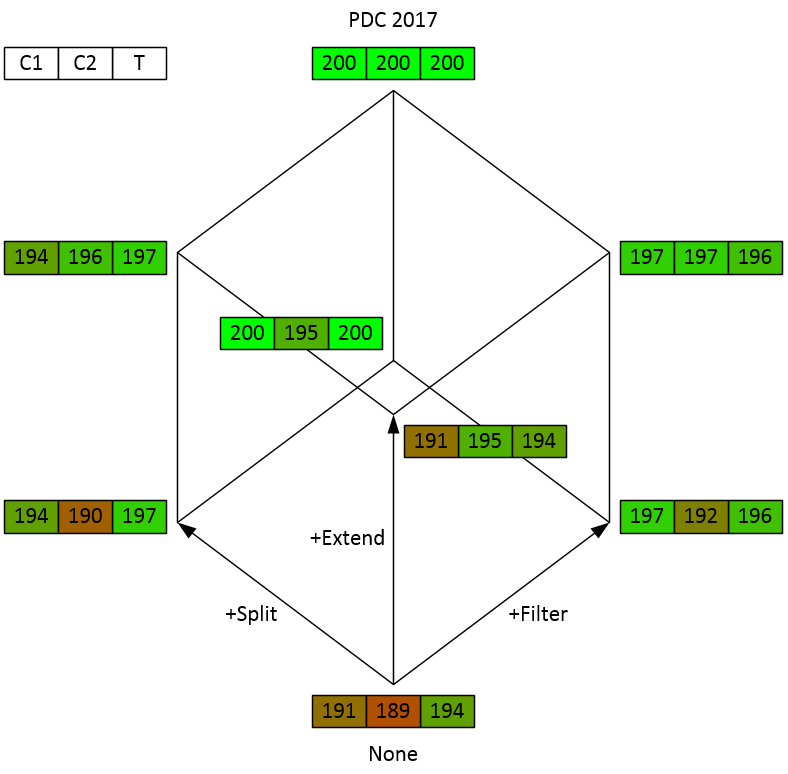 Using the “PDC 2017” preprocessor, we classify all of them correctly. Using only the additional preprocessors, we end up somewhere in-between, where the option to extend the log with missing traces only has an effect on the C2 calibration logs.